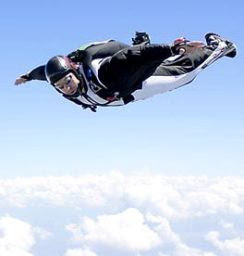 Local news site Brainerd Dispatch has an article on skydiver and wingsuiter Jarrod McKinney planning on doing a charity jump after being lifted aloft by a 100 helium balloons; that's a way of getting to altitude that I hadn't heard of before... The proceeds from the sponsors will go to the Special Olympics Minnesota. I hope he succeeds and we get to read more of this adventure.